Induction motors are the workhorse in various industry sectors, and their accurate fault detection is essential to ensure reliable operation of critical industrial processes. Since various types of mechanical and electrical faults could occur, induction motor fault diagnosis can be interpreted as a multi-label classification problem. The current and vibration input data collected by monitoring a motor often require signal processing to extract features that can better characterize these waveforms. However, some extracted features may not be relevant to the classification, feature selection is thus necessary. Given such challenges, in recent years, machine learning methods, including decision trees and support vector machines, are increasingly applied to detect and classify induction motor faults. 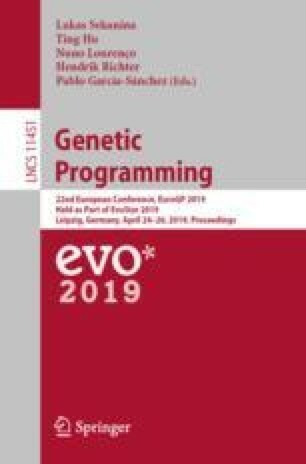 Genetic programming (GP), as a powerful automatic learning algorithm with its abilities of embedded feature selection and multi-label classification, has not been explored to solve this problem. In this paper, we propose a linear GP (LGP) algorithm to search predictive models for motor fault detection and classification. Our method is able to evolve multi-label classifiers with high accuracies using experimentally collected data in the lab by monitoring two induction motors. We also compare the results of the LGP algorithm to other commonly used machine learning algorithms, and are able to show its superior performance on both feature selection and classification. This research was supported by Newfoundland and Labrador Research and Development Corporation (RDC) Ignite Grant 5404.1942.101 and the Natural Science and Engineering Research Council (NSERC) of Canada Discovery Grant RGPIN-2016-04699 to TH.